Create an ECOLOGICAL SANITATION SYSTEM which improves people’s health and environment by Preventing the spread of germs and turning harmful waste into a valuable resource (fertilizer) by using Composting method. Composting of human excreta is done by mixing various decaying organic substance such as dead leaves, ashes, & sand to the human excreta and converting it into a soil fertilizer during a period of time. 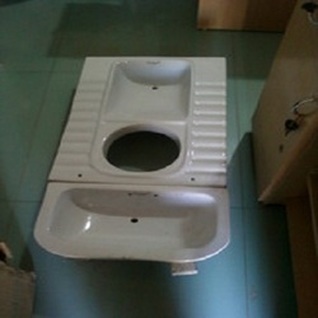 Provide ECO SAN TOILETS along with proper training on usage and maintenance. Watch a short video clip below ​regarding ECO SAN TOILETS by UNICEF. ​CLICK ON THE "PHOTO GALLERY"
To SUPPORT & DONATE this program, click on the link below and choose the "DONATION CAMPAIGN" by clicking on "Adamjee - Sanitation Program"